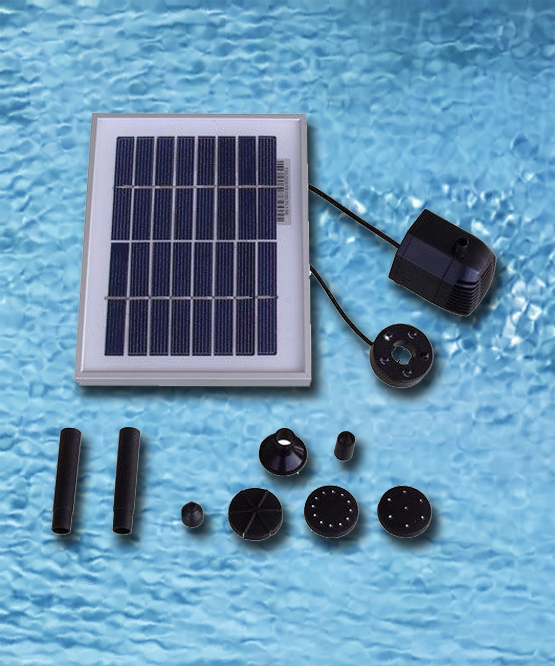 Our 3 Watt Solar Pump Kit With Battery Pack and LED Light - 47" Lift is designed for fountains, pond and other outdoor uses. 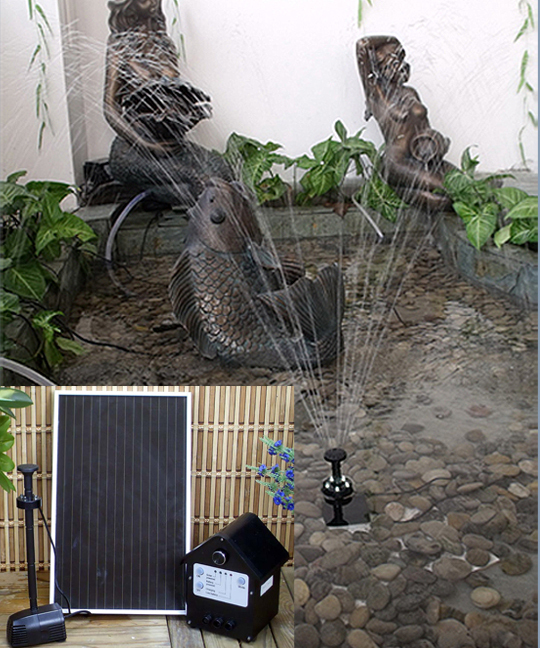 Along with an adjustable water rate, it has an LED fountain light that automatically illuminate the water spray at night. The kit comes with the following fountain components for a variety of spray configurations in minutes: four (4) interconnectors, one (1) short interconnector, three (3) sprinkler spouts, and one (1) small spout cap. Users can pre-set operating time to allow the fountain pump and light to automatically turn on at specified times each day. 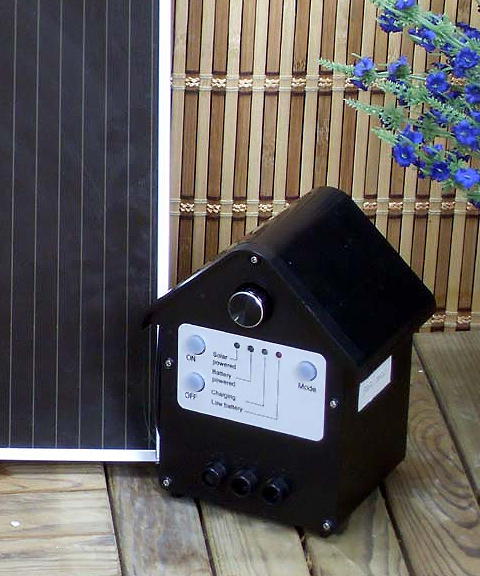 The pump can be used by day or night, as it comes with a battery back-up. It will work between up to four hours off of the battery depending on the water flow selected, the charging time, and the intensity of the day's sun exposure. Note: This product is meant to be used with rechargeable batteries only; using batteries other than the same type and size that come with the pump will damage the product and void the warranty. As with all water features, it should be taken in during subfreezing temperatures to prevent damage from the expansion of freezing water. 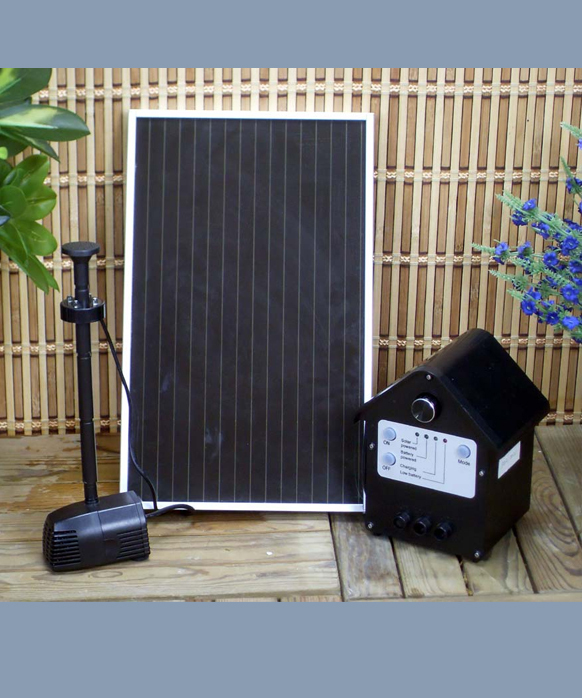 Accessories: 8 fountain pieces for varity of sprays; solar panel support spike.